Srinagar: While the Indian Airforce fighter jets have mounted strikes on the terrorist locations inside Pakistan, the security forces also have reportedly intensified the anti-terror operations in Jammu-Kashmir. Massive combing operations are being carried out in Pulwama, Bandipura and Kulgama. Director General of Police in Jammu-Kashmir Dilbagh Singh clarified that the terrorists would be eradicated from Jammu-Kashmir in the next few months. 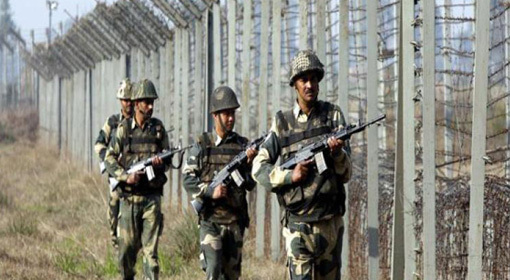 The massive deployment of security forces was made in Jammu-Kashmir following the Pulwama attack. Only four days ago, 100 divisions of paramilitary troops had reached Jammu-Kashmir. 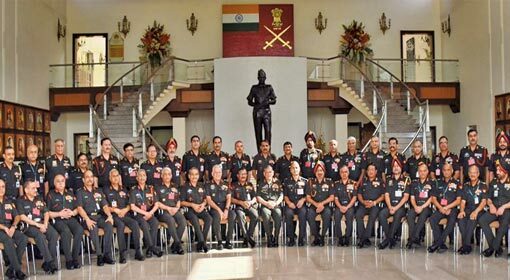 These include 45 divisions of CRPF, 35 of CRPF, 10 of SSB and 10 divisions of ITBP. First time in the last two decades, BSF soldiers have been deployed in an interior territory, other than the border. While the deployment has been increased in Jammu-Kashmir, the anti-terrorism campaign has also been intensified. A massive campaign has been undertaken in South Kashmir region where the terrorists are believed to be active in large numbers. 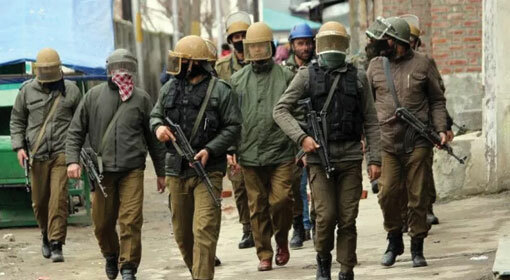 The security forces have pulled up their socks, for the complete annihilation of terrorism from the Kashmir valley and a comprehensive combing operation has been launched in Pulwama, Bandipura and Kulgama. Some suspects have already been detained. Only two days ago, the security forces killed three terrorists. Kamran alias Gazi, the mastermind of Pulwama attack, was also killed within 100 hours of the attack. In view of this, the Jammu-Kashmir police chief has indicated that the combing operation in Jammu and Kashmir is likely to become more extensive. Currently, enormous firing is going on between the Indian and Pakistani military, across the LoC. Pakistan resorted to firing at nearly 55 Indian border ports. The Indian soldiers have strongly retaliated against it, and Pakistan is said to have suffered significant losses. 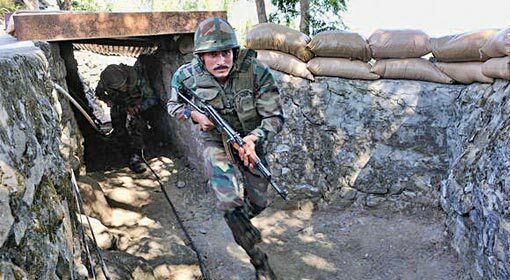 Pakistan is carrying out firing and mortar attacks on the Indian posts, since the last four days. The Indian forces have aptly retaliated against it. But Pakistan has increased the intensity of the firing, after the humiliating air raids carried out by the Indian Airforce, inside Pakistan. But India has retaliated with a strong counter-attack. Pakistan has reportedly suffered considerable losses in the firing and shelling. The locations of the separatist leaders in Jammu-Kashmir were raided by the National Investigation Agency (NIA). The locations connected with the separatist leaders Mirwaiz Umar Farooq, Sayyed Ali Shah Gilani, Yaseen Malik, Ashram Shehri, Jaffar Bhat were raided. The NIA is investigating the accusation that these leaders are receiving huge funding, through the hawala transactions, from across the border. Earlier, the Jammu-Kashmir government had withdrawn the security of these separatist leaders. Nearly 300 separatist leaders, along with their supporters, have been arrested. The connections between separatist Hurriyat leader Mirwaiz Farooq and the Pakistani intelligence agency ISI have already been exposed.